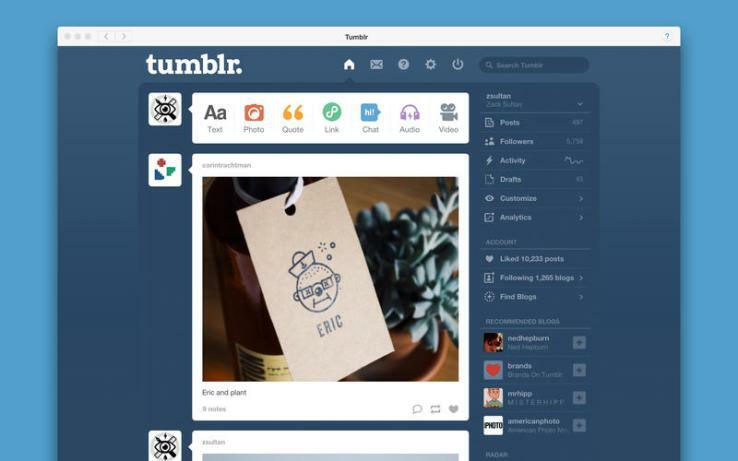 On the heels of the release of Apple’s new Mac OS, OS X Yosemite, blogging platform Tumblr has just rolled out its first official desktop application with the launch of a Tumblr app for the Mac App Store. The app allows users to post to their personal Tumblr blogs from anywhere on the Mac, whether that’s content like links, images or videos you stumble across online, or files you have saved locally to your computer. The first feature is designed to take advantage of the share button introduced in the Mountain Lion version of OS X. However, the Tumblr app will only install on the very latest version of OS X, 10.10 Yosemite. 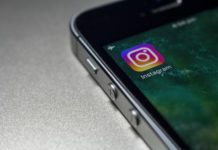 The new app also functions as a Tumblr browser, allowing users to track the blogs they follow, post to their own blog, keep tabs on their notifications, and more. Essentially, it’s a full-screened version of the Tumblr web app, all in its own window. The app’s feature set is fairly limited compared to what you can already do via Tumblr on the web, so it’s not necessarily going to be a must-have install for occasional Tumblr users. 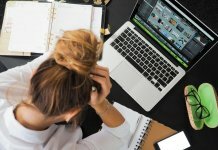 However, for those who regularly engage with the blogging platform, the app makes sharing content easier than before, and with fewer steps, so it may have some appeal. The app, which complements Tumblr’s mobile lineup, is a free download here.